Einstein Accidentally Posts to Wrong URL. 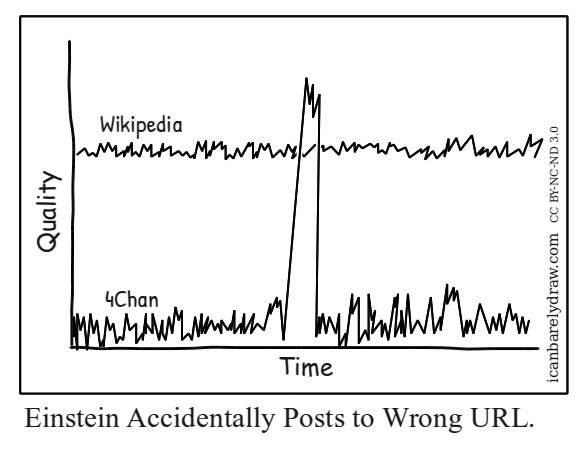 Title: Einstein Accidentally Posts to Wrong URL. Meh, his contributions to Wiki keep getting deleted for being original research, anyway. Quality as in quality of new content at a given time?